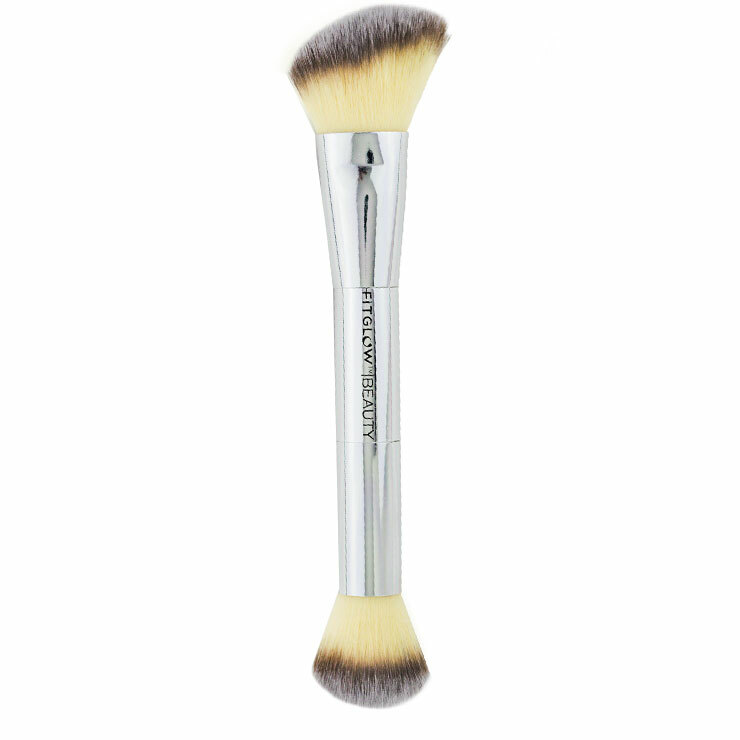 Fitglow Teddy Double Cheek Brush is a makeup lover’s must-have beauty tool. Super soft vegan bristles mean makeup application is smooth and delicate on skin. The rounded end of the brush makes foundation look refined and flawless, while the angled brush provides effortless contouring. The perfect brushes for applying both powder and cream formulas, and may also be used with bronzer, highlighter, and blush. This beauty makes touch-ups a breeze. Use the rounded brush to apply and blend foundation and bronzer. The angled brush may be used to strategically apply highlighter and blush. Wash with mild cleanser and water and allow to air dry.